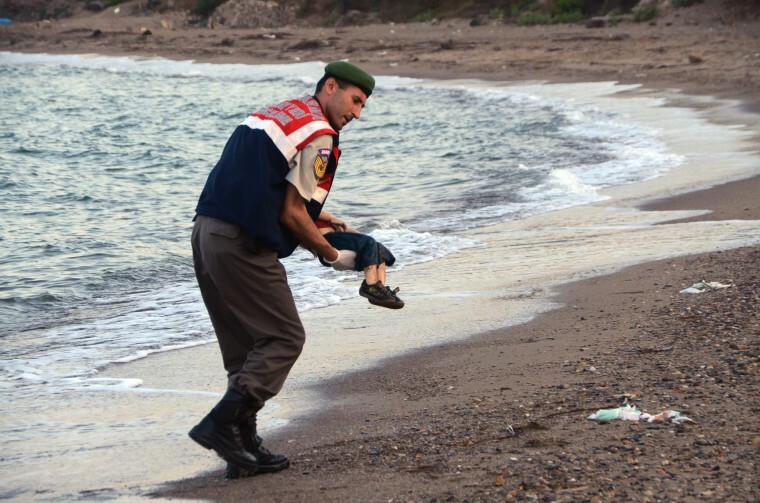 Two years since a photo of lifeless Syrian boy Aylan Kurdi lying face down on a Turkish beach captured the world's attention, the migration crisis has shifted to the other side of the Mediterranean Sea. Most migrants attempting to reach Europe now embark on the perilous journey from North Africa to Italy. Amid some 2,200 deaths or disappearances this year, European and African leaders this week launched a new action plan aimed at stopping people from dying at sea by preventing them from reaching the Libyan coast in the first place. Agreed by the leaders of France, Italy, Spain, Germany, Chad, Niger and Libya, the plan aims to cut migration from North Africa to Europe in return for aid. The four European powers pledged to help Chad and Niger reduce the number of migrants flooding north into Libya. “They’re pushing the border controls south,” said Craig Damian Smith, associate director of the Global Migration Lab at the Munk School of Global Affairs in Toronto, Canada. They also hope to put people smugglers out of business by setting up legal routes of migration to Europe. Experts said the meeting formalized a shift in focus to the other side of the Mediterranean Sea after another agreement cut off the route embarked on by Kurdi's family along with hundreds of thousands of other people seeking new lives in the West. In March 2016, the European Union signed a deal with Turkey which curbed the flow of migrants traveling into Greece. The deal stipulated that migrants arriving on the Greek islands would be returned to Turkish shores. In exchange for taking in migrants, Turkey would receive several billion euros to help manage the refugee community in the country and, once the number of arrivals dropped, Europe would start taking refugees from Turkey via safe channels. In recent months, Italy has given the Libyan coast guard new patrol boats to help them beef up their efforts to stop people smuggling. Italian naval ships have been deployed in Libyan waters to deter boats carrying migrants. Jeff Crisp, a refugee expert at the University of Oxford, said last year's closure of the route between Turkey and Greece, where the three-year-old Kurdi drowned, had initially created "a sense of satisfaction in Europe." Leonard Doyle, a spokesman for the International Organisation of Migration, said the focus had now shifted from "the boats to deserts" of North Africa. "They’re trying now to cut off flows of people on land," he said. “The EU and African states are saying to themselves, 'Let’s find a way to get the smugglers out of the picture.'" While some 600,000 migrants have reached Italy by sea from North Africa since 2014, the numbers have declined in recent months. In July, arrivals were down more than 50 percent compared to last year. The reasons for this sharp decline are disputed but experts say an increase in activity by the Libyan coast guard and weather conditions may be among the reasons. European leaders hope that shoring up Libya's southern border and offering legal pathways into Europe from Africa will result in a continuation of this trend. But some experts are concerned these efforts may cause problems of their own. The centers, he said, would be a magnet for people smugglers. “Containment creates a market for irregular migration,” Smith added.